We have always yearned for heroes. A hero personifies, in character and deed, traits that inspire admiration and imitation. A society’s values are revealed and reinforced by those deemed heroic. In the same way, your heroes say a lot about you. In his first inaugural address, Ronald Reagan observed, “Those who say that we are in a time when there are no heroes just don’t know where to look. You can see heroes every day.” The president understood that we need not seek a hero in history or myth or among the famous and powerful. They are all around us. It was an important thought, but it was wasted on me. I already knew where to look. Among my heroes is a man you have never heard of. He never got his name in the paper. He won neither medals nor laurels. There will never be a statue erected or movie made about him. But he was heroic. His character and the manner in which he lived render him as worthy of admiration and imitation as any whose names are known around the globe. He was a gentle, humble, dignified hero. He was my grandfather. He believed in moderation. My Dad told me of golfing with him. Dad would blast drives out 275 yards or so and then watch as his father did as he always did: 150 yards, straight down the middle. Then, as the others hit those marvellous iron shots that fade magnificently and, when they work, bounce and bite on the green, his father would strike a little bump and run. Without the awe of the masterful shot, most would roll closer than the others. At the end of nearly every round, my grandfather would stroll from the eighteenth green with the same ball he struck from the first tee, and almost always with fewer strokes than his flashier opponents and partner. The metaphor is apt. Moderation informed his decisions about friends, family, fun, and every other aspect of his long life. Moderation matters, it’s heroic. He believed in loyalty. Last summer, a colleague launched into a highly-charged rant detailing all that was wrong with our place of employment. I was nodding at the litany of things apparently wrong when I unexpectedly thought of my grandfather. While pretending to listen, I reflected on the 42 years he gave to Dofasco, the mammoth Hamilton steel plant. I never once heard him utter a critical word. 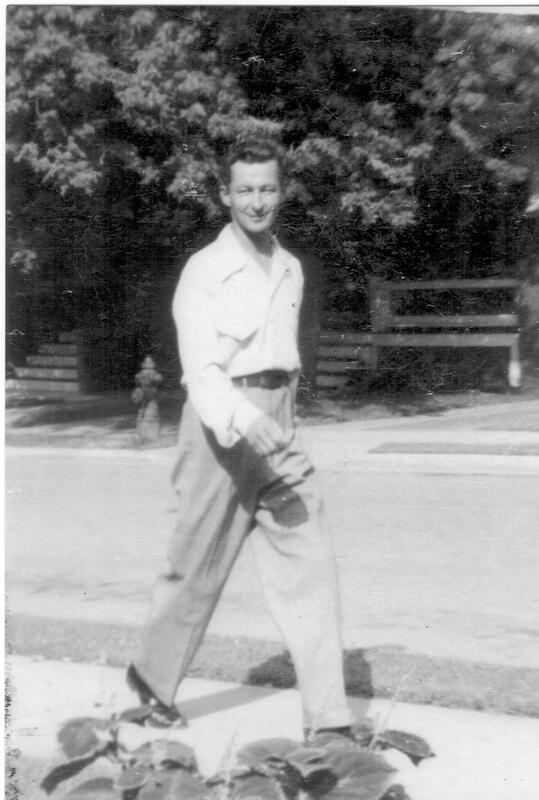 This man who lived through a depression and world war taught me to be grateful for a safe place and fair wage and to always give more than expected. If one’s employer does not reciprocate loyalty with loyalty, then don’t become disloyal, find another employer. Loyalty in all aspects of life and, ultimately, to one’s dignity, matters. Loyalty is heroic. He believed in patience. 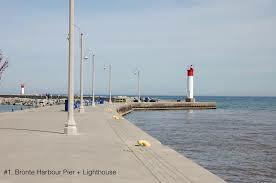 On a great number of misty mornings and sunny afternoons I accompanied him to Oakville’s Bronte pier. He loved fishing. I hate fishing. But I loved being with him and so along I’d go, secretly cheering for the fish. One warm afternoon, I pointed to a string of boats about three hundred yards out into Lake Ontario. He said they all had fish finders and guessed that the Coho salmon were out there. A few moments passed before I ventured, “So, does that mean that we haven’t a chance of catching anything here?” He shook his head and said, “No, but it’s a nice day, and you never know.” We practiced our casting for another two hours, had great chats, and headed home. Patience matters – it’s heroic. He believed in generosity. We are captains of our own ships, embarked on journeys of our own design, but family is the beacon that always guides us home; home to the sanctuary where we are reminded of whom we truly are. My grandfather celebrated my triumphs and, from time to time, commiserated with my despair. He always offered compassion without judgment. He knew that the most generous gifts are time and attention. And those gifts, bestowed with gentle grace and twinkling eyes were the essence of the man. He seldom gave advice, even when asked; winter can’t warn the spring. His advice was in his example. Generosity matters – it’s heroic. We have known heroes from Achilles to Kennedy and from Louis Riel to Eleanor Roosevelt. They matter for what they offer and reflect about the societies and individuals who revere them. I have my own hero. I share his name. I share his values. Every day he instructs me. Every day, I strive to be worthy of his memory. If you enjoyed this column, please consider sharing it through the social media of your choice.